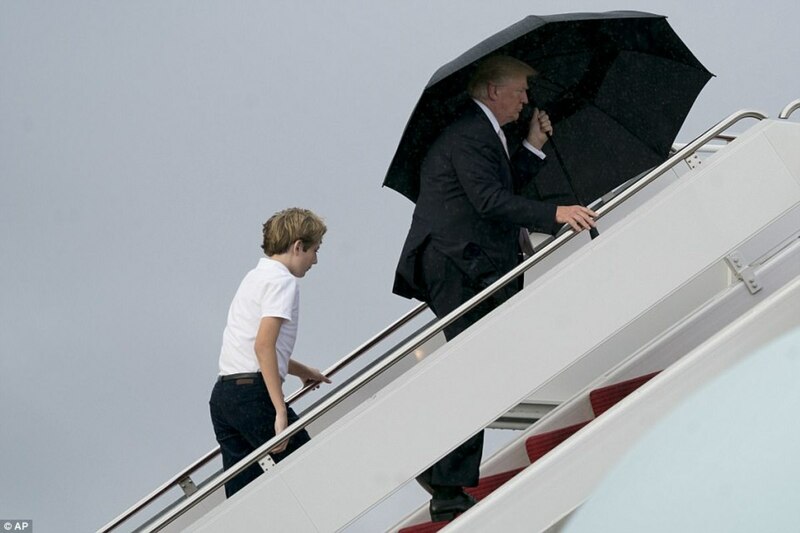 Several social media users are blasting President Donald Trump after he was photographed holding a large umbrella over himself only while boarding Air Force One with his wife and son. The photos were captured on Martin Luther King Jr. day, the Daily Mail reported. They show the president boarding Air Force One at Palm Beach International Airport with first lady Melania Trump and their son, Barron, on a windy and rainy day. 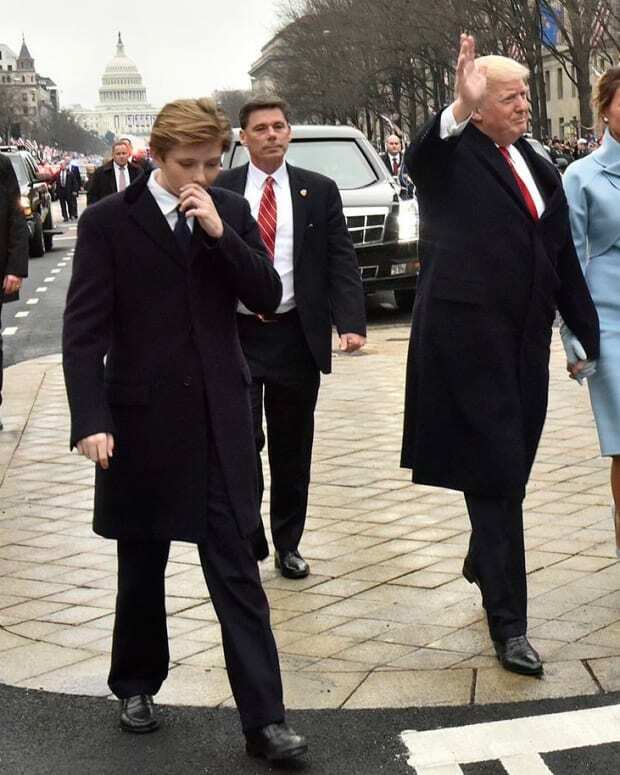 The president is seen holding a large umbrella over his head, while his wife and 11-year-old Barron walk behind him, uncovered. 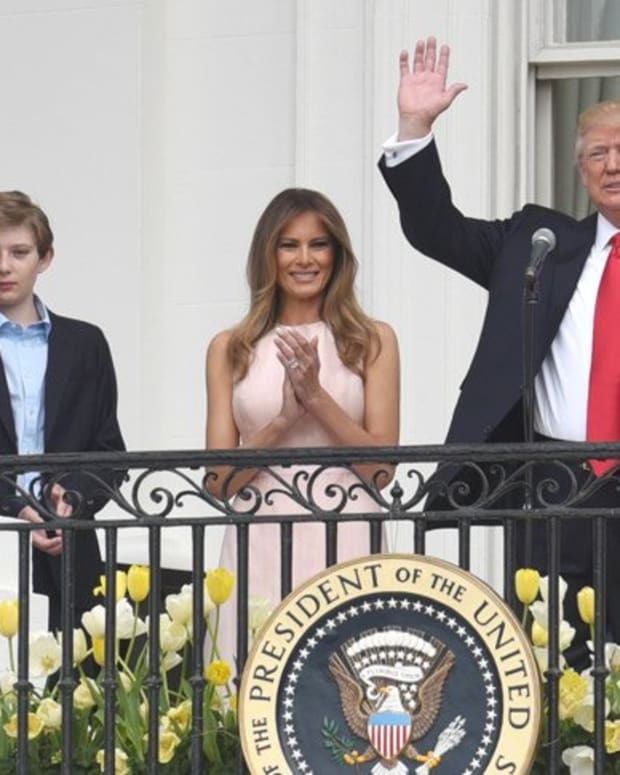 Both Melania Trump and Barron&apos;s hair can be seen blowing in the wind while the president appears to be doing his best to keep himself dry. It is unclear whether Donald Trump offered space under his giant umbrella at any point to his wife or Barron as they left Mar-a-Lago. The first family was heading back to Washington, D.C., after spending another weekend at their Florida estate. Several social media users blasted the president after the photos surfaced online. Many users felt he was being selfish, and exhibiting bad manners by not covering his family in the rain. "A picture paints a thousand words," wrote one user. "Contrast this one of [Trump] to the picture of President Obama covering Valerie Jarrett getting off the helicopter. We have gone from total class to complete trash." "He did the same thing on inauguration day. 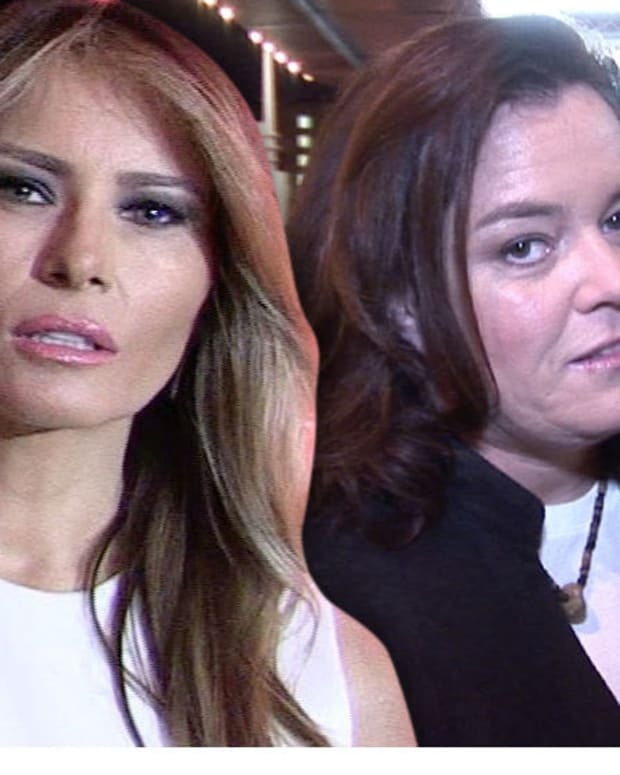 Running up the stairs to waiting Obama while Melania was barely out of the car," added another. 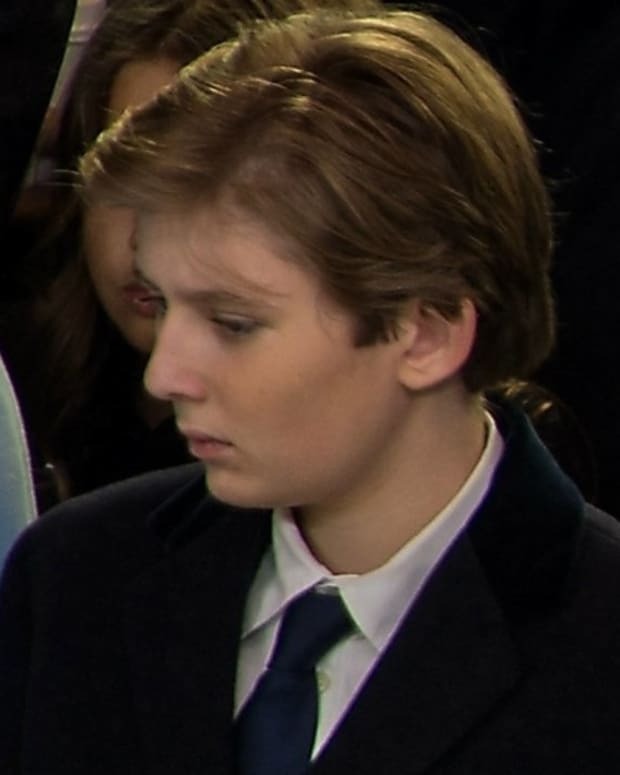 "Obama went down the stairs to greet Melania." 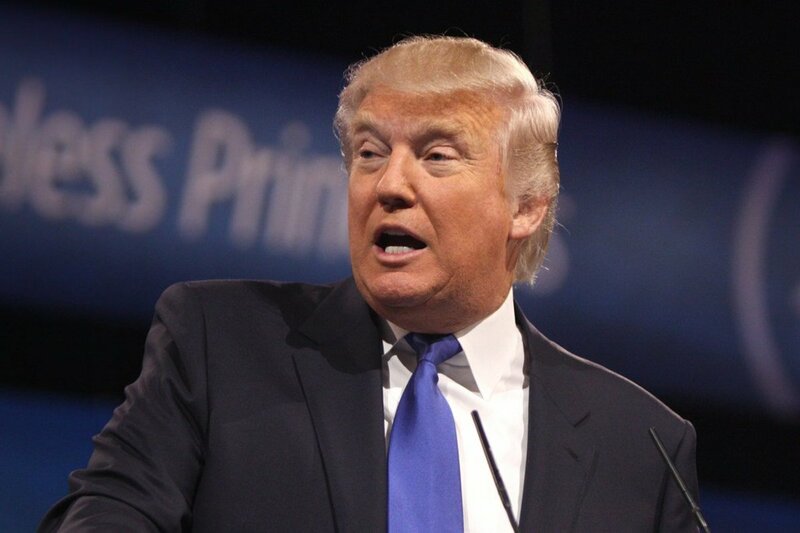 Some users believed Donald Trump was just looking out for his own appearance. "The wind [is] whipping everyone&apos;s hair around," one user observed. 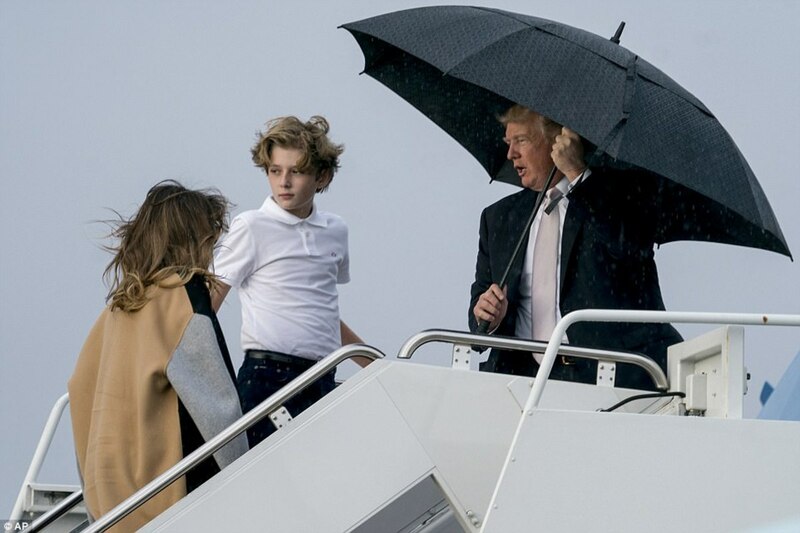 "He is holding the umbrella close to his head to prevent the wind lifting up his elaborate hair comb-over…"
"Guy is worried more about his hair than his family," wrote another. Other users felt the president was showing signs of developmental disorders. "I honestly think he has a form of asperger&apos;s syndrome, some people who have it are high functioning, [extremely] single minded and don&apos;t connect easily with the people around them unless that is the [direction] they are focusing on," wrote one user. Others were not so convinced. "Stop making excuses for him, he has Asperger syndrome etc., the man is uncouth; he has bought and bullied his way to the top and his character, or lack thereof, shines through his every action and every time he opens his mouth," responded one user. Meanwhile, Donald Trump took to Twitter on Jan. 16 to once again criticize the media&apos;s portrayal of him. 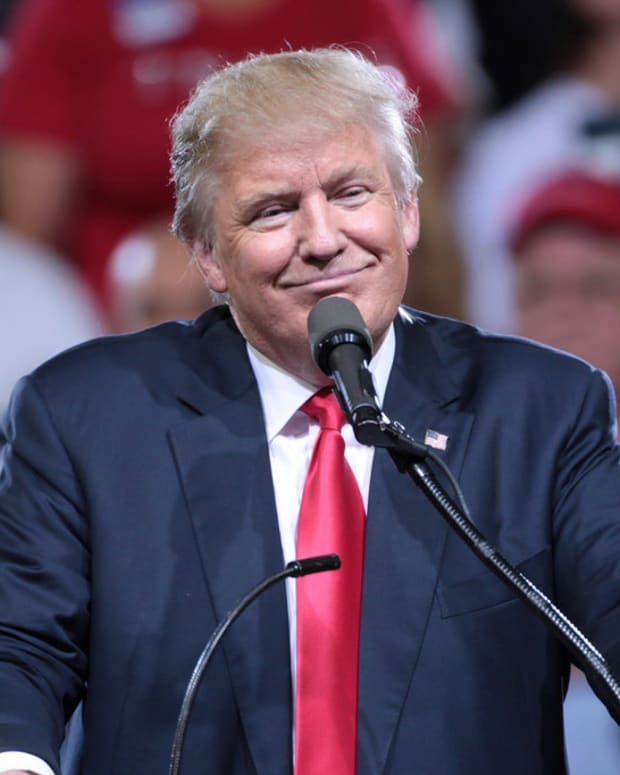 "Do you notice the Fake News Mainstream Media never likes covering the great and record setting economic news, but rather talks about anything negative or that can be turned into the negative," the president tweeted. 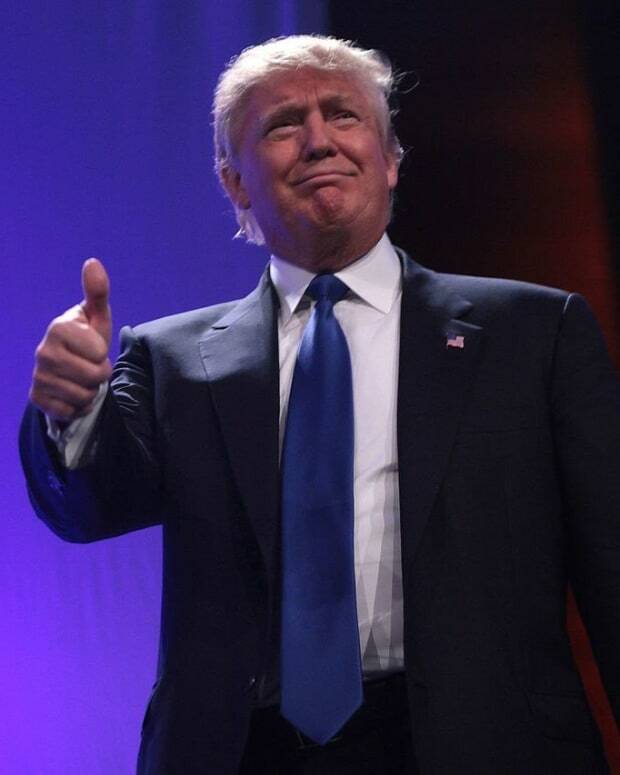 "The Russian Collusion Hoax is dead, except as it pertains to the Dems. Public gets it!"